What happens after the fellows have left Akademie Solitude? Where do they go and what will they work on next? 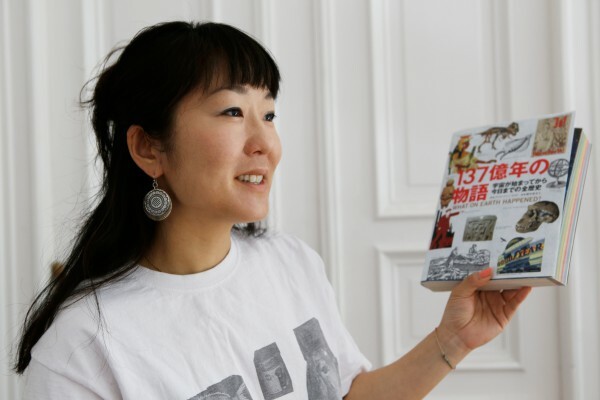 – Like visual artist Hanae Utamura (Solitude fellow, 2014), many move to Berlin. There, she is becoming an artist-in-residence at Künstlerhaus Bethanien supported by Pola Art Foundation. During a visit to her studio at her home at Lausitzerplatz, right in the heart of Kreuzberg, her work space opens up a landscape of pastel colors with metallic elements, sculpture paintings, and diverse objects, such as fragile dead flowers, a bees nest, a role of yellowed hard plastic as well as a humorous silver-painted burned croissant. Some of the things she found in the streets of Berlin or everyday life, as she explains later in this new noisy and messy environment, far from the silence of Solitude. Residue: Skin is the name of her new project, which will be exhibited at Künstlerhaus Bethanien in January/February, 2016, where she is going to move her studio to in the next few weeks for her artist residency. We take a series of photos with the afternoon light in the background and talk about her research and artistic practice, in which the politics and economics of Japan; the internet and reality; and how we consume information play a big role. Whilst we touch the paintings and objects and she tells their stories, everything slows down and focuses on this afternoon. Clara Herrmann: What are you working on? What is the work about? Hanae Utamura: In Solitude, I did this video project which was very video-based: a forest, a site. My interest in objects was growing during this time, especially for residual objects. I started to be interested in how objects carry a story. When I moved from Stuttgart to Berlin, I was so overwhelmed by the city’s liveliness after the calm atmosphere at Solitude. I started to collect all sorts of things: things my neighbors left out; things I found in streets; remnants from my everyday life too. It’s a totally different input. And the city had so many posters on the wall. I have been traveling a lot all over the place. One peculiar thing about the city was its posters and pictures and graffiti. And then came the 25th anniversary of the fall of the Berlin Wall, and I started thinking about the fall, the Wall, and those posters. Those posters kind of fall off when they get too heavy because they have too many layers. It becomes like a skin almost. People will step on them, the skin of the city, and they break up like particles. This starts to feel also like a physicalization of the internet in terms of how we consume the information of images there – this abundance: that we produce so much that we can’t digest it. Berlin has many residents from all over the world and at times it feels also a bit like a non-place, like the internet. We live in the same city, yet we may present completely different realities via Facebook, Twitter, etc. This leads back to questions about myself: Where am I? Also, who am I? As with learning German, these series of works were born through the gesture of seeking my standpoint. CH: How does your personal background/history influence this work? HU: On March 11, 2011, we had this big earthquake in Japan, which caused a nuclear power station crisis at Fukushima. It’s still an ongoing issue and we haven’t found a solution yet. The current government is pushing for economic growth in the run up to 2020 Olympics in Tokyo and isn’t doing much to reduce nuclear power. It’s a very complicated issue and there is no simple answer to it, but instead of taking a steady position, my focal point is rather in the space of negotiation, how we swim along this thin line of balance. I wanted to slow down the whole activity through this process of collecting materials and dealing with them. I wanted to slow down the experience, instead of just skimming over the images. For example, I erased the images on the posters with spray paint that is used for graffiti, which is also usually subject to being erased in public. Whilst erasing the images, I would also investigate the information on the poster. For example, if it was an advertisement of a band on a poster, I would listen to the actual music of that band. But the poster also carries a specific date. So, I think about slowing down the date when it happened. Not completely erasing it, but thinking of it kind of as a space for contemplation to imagine the event that this poster advertised. For example with the concert, I am trying to get the actuality and reality of an experience that I didn’t myself have, an experience we have lost. What I wanted to get back to was: You know when you see those pictures or videos of the Japanese hostages who were killed by ISIS, the violence of the image is very much part of political tactics nowadays. The more it accelerates, the more the boundary between fiction and reality, film and actual footage, an actual person dying, are getting blurred. It’s basically a practice of body representation in image. I feel like we get number and number when we watch those images over and over again, when an actual person is dying. The shock is repeated. We don’t feel it anymore. Basically the posters here are sign-based, without bodies or human beings, it’s quite abstract already in of itself. I tried to train myself to imagine the experience behind those images, instead of consuming them quickly, like you do online. CH: How does the training work? Is it like an artistic practice when you’re producing the work? It is really a space for contemplation, where I am producing the object. Both performative and sculptural at the same time. The title of this work is called Residue: Skin. The skin is something between you and the outside world. It is a threshold of your inner body and the external world. The object becomes like a skin; it leaves a trace of the negotiation between the external world and my gesture of trying to reach the unreachable. CH: How do the objects work together with the painting-sculptures? HU: They are different residues of activity in the world. For example, the bees nest (transported to Berlin from my home in Japan), the subject (the bee), as the maker, is no longer there. The bees are not there. The bees build this with their saliva and the chewed up tree bark they have transported. What they have made is basically an architecture, but the bees themselves are absent. So there’s a connection between myself, my home (nest) in Japan, and Berlin. Likewise, the posters don’t have human figures on them, and in terms of the pencil remains: They were produced by a composer and used to write music. And the crystals on the flower and the paintings are made of urea, which is the end product of our body’s digestion. The objects all carry different specific kinds of experiences and activities. But the work highlights what is absent or the story that precedes the object itself. One flower was really important to me. I practiced Butoh, a Japanese dance from the late 1950s, for three days. And in one practice, I focused all my life and attention on this flower and then I gave it to someone in the practice. The flower I gave is gone, but this flower is one I was given by another person with all his life in it. The flower is dead, but it is a significant object as a constant reminder to me of the essentials of life: giving a flower containing all my life and then being given the same. Even if the object were a piece of sand, it is transformed. On the other hand, there are also artificial flowers that are permanently radiant and alive with the urea crystals, in contrast to those dead ones. So, there is one object that doesn’t have a life or death and these ones that have decayed, which once had a life and features such as petals. This contrast opens up a space for contemplation for me, again reflecting the outside world. But I still want a place for others to look at these things. I would like to bring more emphasis to things that can be dismissed in everyday life through the experience of art. But there are also humorous objects like that croissant, that I burned and then painted silver. I think I made it around the time of solar eclipse in March, and my friend said that it now looks like the crescent of the moon. The burned bread can become something so grand. CH: So how would you describe your artistic technique in putting the installation as a whole together and building up a relation of material and topics? HU: I like to call it a landscape instead of an installation; it opens up more possibilities for imagination for me. Overall, the constellation of these objects is a place to think about these issues in a new form of painting in relation to performance. There are all kinds of painting gestures or languages involved here – all surfaces at play, including geographical surfaces, transposing from one to the other. There is also a plaster sculpture cast from the plastic sheet on the studio floor, which traces the movement of my gesture. The output is a sculpture, but the process is very painterly. Everything is interrelational in this landscape [looking across the studio]. This overlapping/juxtaposing of different geographical surfaces and historical timelines was also present in my video project Across the Grid at Solitude. But there the subject was invisible, only existing in peoples’ mind, because I used the map of the rococo garden that existed 250 years ago in the forest. CH: Where and how would you show this work? HU: I’m moving my studio to Künstlerhaus Bethanien in July as an artist-in-residence until March 2016. Firstly, I will show these at the Open Studios, that regularly take place. Then I will have an exhibition there on January 25 to February 14, 2016. I am thinking about ways of exhibiting it. But I think the key would be how to frame or individualize each work with its own title, interlinking each object under the umbrella of a big constellation, i.e. exhibition title. A conversation with artist and theorist Rosa Menkman who focuses on visual noise artifacts, resulting from accidents in both analog and digital media.